Port Arthur Historic Site is just over an hour’s drive from The Grand Chancellor Hotel Hobart where we stayed while in town. Hiring a car is the easiest way to get around and we got a great deal from Airport Rentals. Car parking is plentiful and a shuttle is available from the far reaches for those with mobility concerns. A visit to Port Arthur is a sobering experience. The tales of human suffering were hard to digest in contrast to my relatively comfortable existence. It is thought provoking and it is meant to be. To get the most out of your visit, I highly recommend joining the free guided walking tour before setting out on your own. Our guide Charlie started with an acknowledgement to country by recognising the indigenous owners of the land before showing us the highlights and pointing out areas we may visit later. 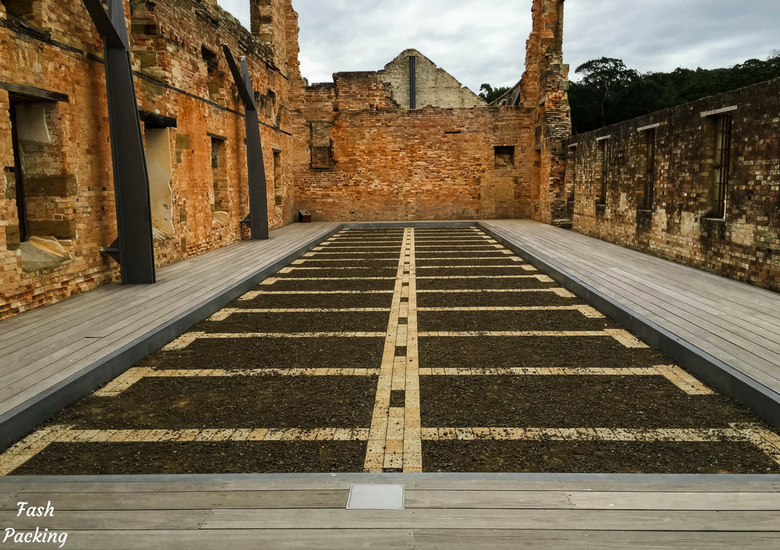 Port Arthur Historic Site was converted to a convict punishment centre in 1833. At the time, Port Arthur was particularly difficult to reach. With no road, everyone and everything coming in or out had to make the arduous eight-hour boat trip from Hobart. As a result of this isolation, the prison had no walls or fences and relied on natural barriers to prevent escapes. While many attempts were made, none were successful. Port Arthur housed the worst of Australia’s criminal population and most were repeat offenders. It was officially closed in 1877 when the remaining prisoners moved to Hobart and Launceston gaols. 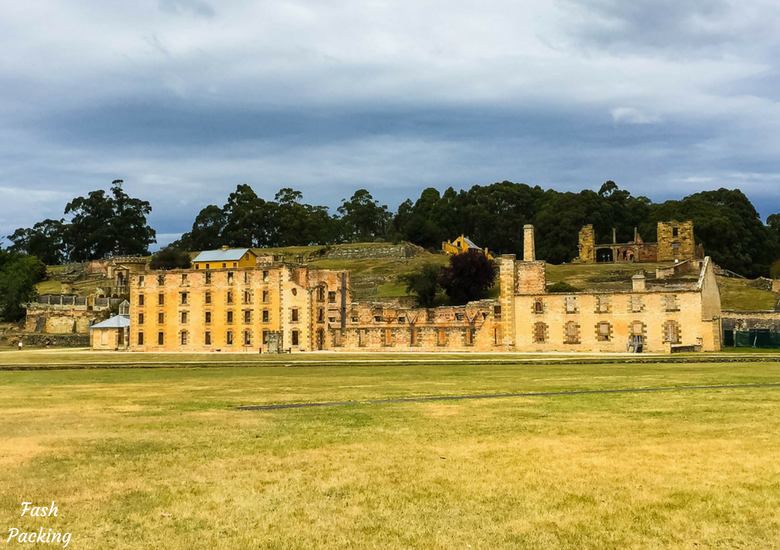 In 2012 Port Arthur Historic Site secured World Heritage Status to preserve it for generations to come. If you are lucky, your visit might coincide with the semi-regular talks which provide unique insights. Grab your tickets online before you hit the road. From a distance the Penitentiary cuts an imposing figure on the landscape. The yellow hued sandstone ruin has been painstakingly restored to give visitors a glimpse of what it would have looked like in its heyday. The Penitentiary has survived a number of fires but looting by the locals was perhaps the largest threat. It is said that many of the houses in the surrounding areas have a brick or two pilfered from The Penitentiary. Once inside you get a real feel for the cramped conditions in which the earliest inhabitants lived. Some of the cells are still intact but perhaps the starkest evidence is the grid marking long gone cells laid out in the centre. Punishment in Port Arthur was initially metered out by the lash of the cat of nine tails and floggings occurred daily. A shift in mindset occurred to inflict mental rather than physical punishment with the introduction of the Separate Prison in 1850. The focus in the Separate Prison was on solitary confinement and sensory deprivation. 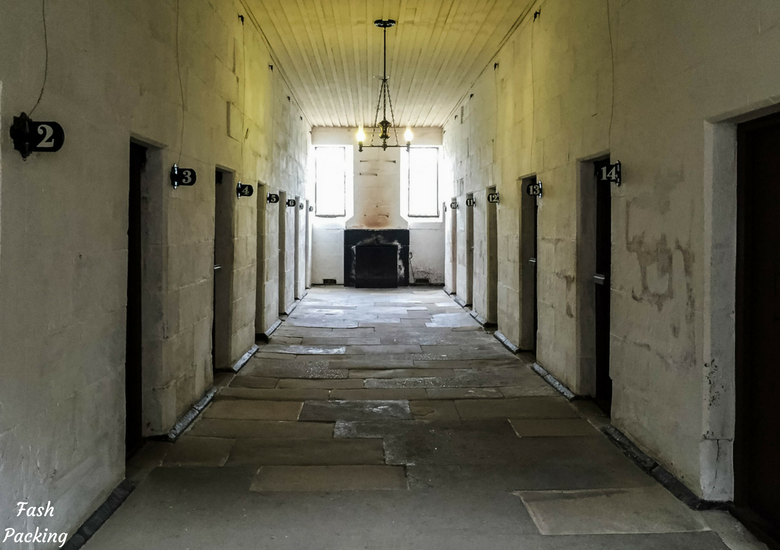 For a taste of just how bleak the conditions were, I challenge you to completely close the door on the punishment cell for a few minutes and contemplate just what it would have been like to spend days on end in there. 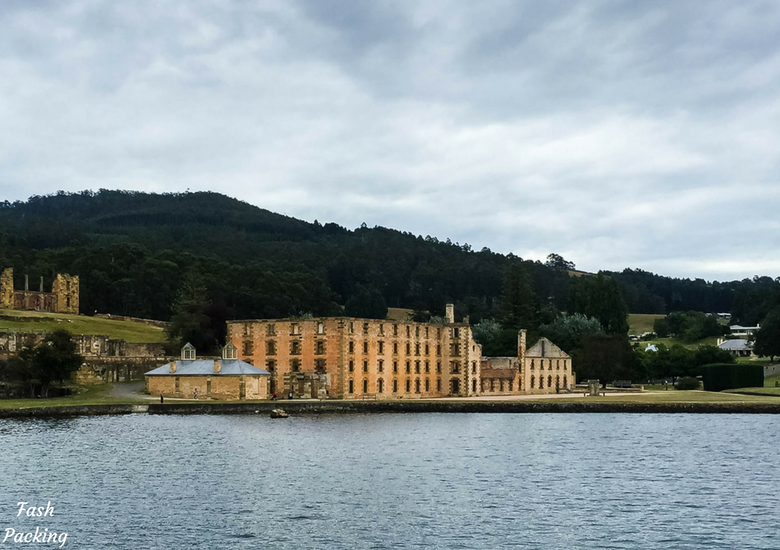 Entry to Port Arthur Historic Site comes with a cruise of the bay. OK, cruise is probably a little generous in terms of describing the experience. Essentially the boat transfers visitors taking tours of The Isle of The Dead and Point Puer Boys Prison to and fro and the rest of us are invited along for the ride. Make sure you let them know which cruise you wish to take on entry as numbers are limited. Our guide Mel kept up an informative commentary throughout our time on board and perhaps the most heartbreaking were the tales of Point Puer. 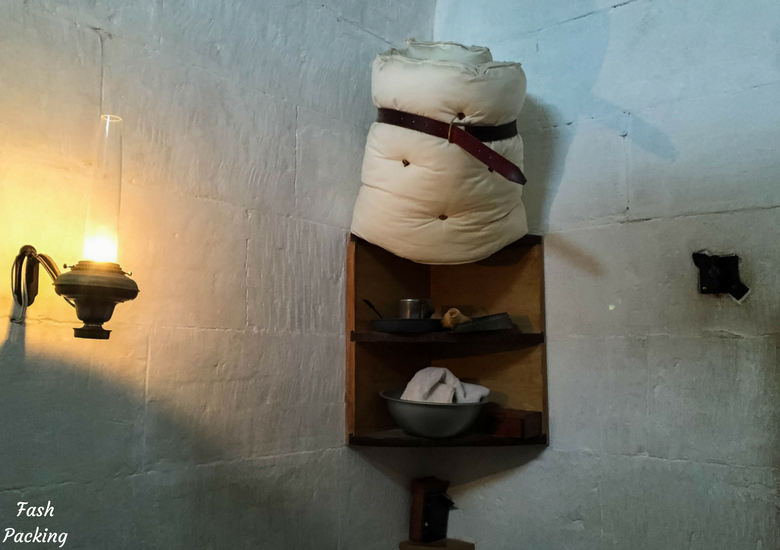 Point Puer was the British Empire’s first prison catering solely to boys. Over the 15 years it was open, more than 3,000 boys went through the system. The brutal British regime imposed sentences of transportation to Australia on boys as young as nine for crimes committed in England. Can you imagine the terror these children felt on learning their fate? Having two boys of my own, I cannot image how a 9yo would have coped and my heart aches for them. 80 of Port Arthur’s youngest inhabitants from Point Puer died during their incarceration and were buried on the Isle of the Dead. Even in death, those buried on The Isle Of The Dead could not escape their standing in life. The cemetery has two sections; one for convicts and one for others. Convicts graves contain no headstones and even those in the ‘others’ section were laid to rest according to their social standing, with the most important people occupying the privileged positions on the hilltop. 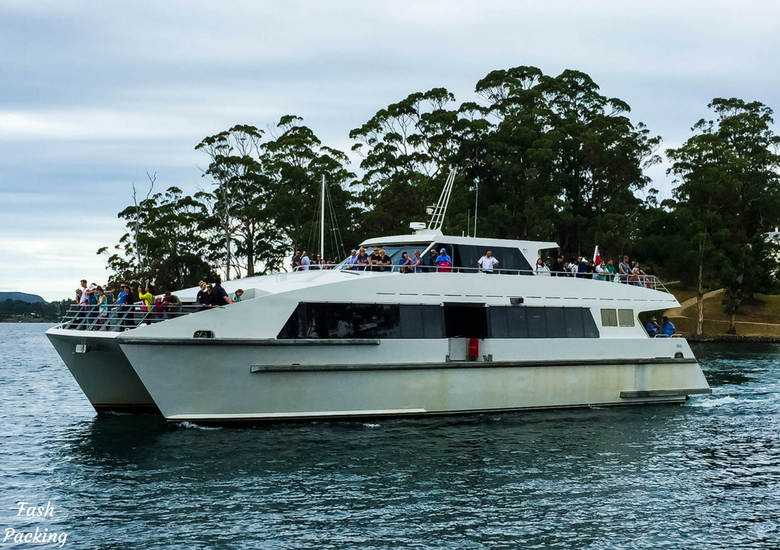 If this short trip has whet your appetite for getting out on the water, a Tasman Island cruise may be for you. Of course those that worked at Port Arthur needed somewhere to live and a number of these historic residences are still intact. Take the time to explore them all. One home that illustrated just how easy we have it these days was the home assigned to a junior officer. The whole house was not a lot larger than my family room and he raised eight children in the compact space with his wife. And I’m pretty sure it would have been without the luxury of an iPad to keep them amused. While you are here, make sure you match the card you were given on entry with your prisoner. 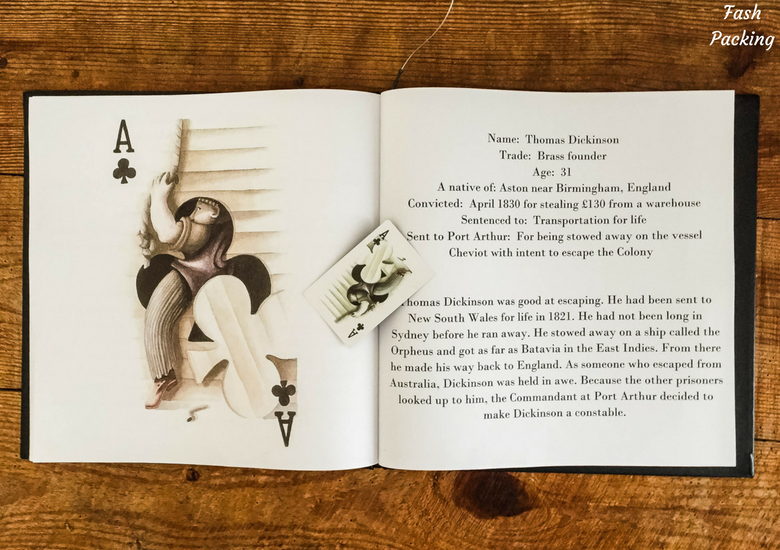 I drew Thomas Dickinson; the ace of clubs. Thomas was originally transported for life for stealing £130, a crime that would never even make the inside of a court room today. He found himself in Port Arthur as a result of his proclivity for escaping and made it all the way back to England on one notable attempt. 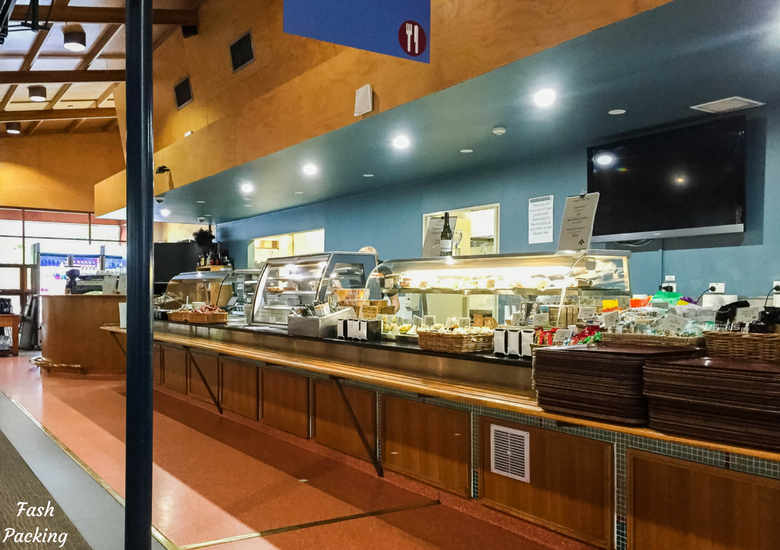 Most visitors to Port Arthur Historic Site will spend a good few hours on site to get the whole experience which means rumbling tummies will need satisfying. The café at the entrance serves a typical menu and most will find something to appeal. 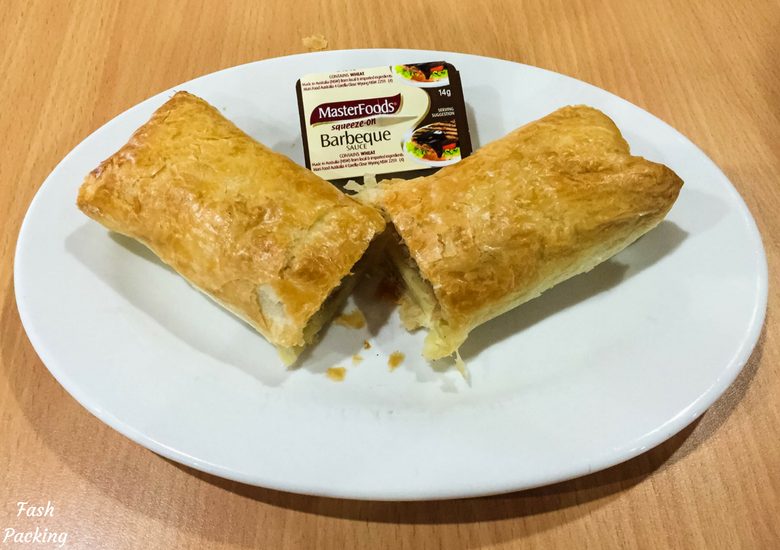 It’s not gourmet, but it provides sufficient sustenance to get through the day. 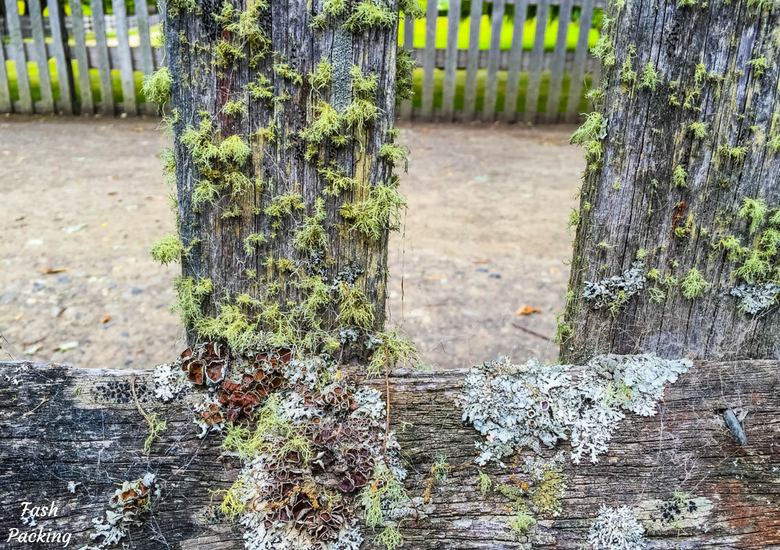 The beautiful grounds and gardens at Port Arthur Historic Site date back to the 1850’s and are well established. 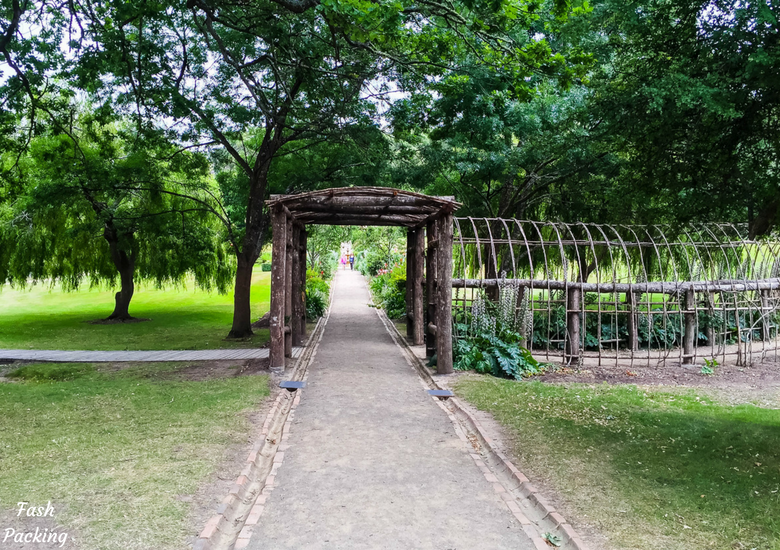 Take the time to explore the winding paths and enjoy the shade of the green canopy. Comprehensive plant guides are available for those who like to get into the detail and green thumbs can even purchase seeds to take home. It would be remiss of me to talk about Port Arthur without mentioning the Massacre. 2016 marked the 20th Anniversary of Australia’s deadliest mass shooting. In April 1996 a lone gunman opened fire at the Port Arthur Historic Site killing 35 and wounding a further 23 in an event that shook Australia to its very core. That deadly day was the catalyst for reforms to Australian law and the gun control restrictions that are still in place today. There is a memorial on site in the ruins of The Broad Arrow Cafe for those that wish to pay their respects but visitors are respectfully requested not to pose questions about the massacre to the staff, many of whom lost friends and colleagues that dreadful day. 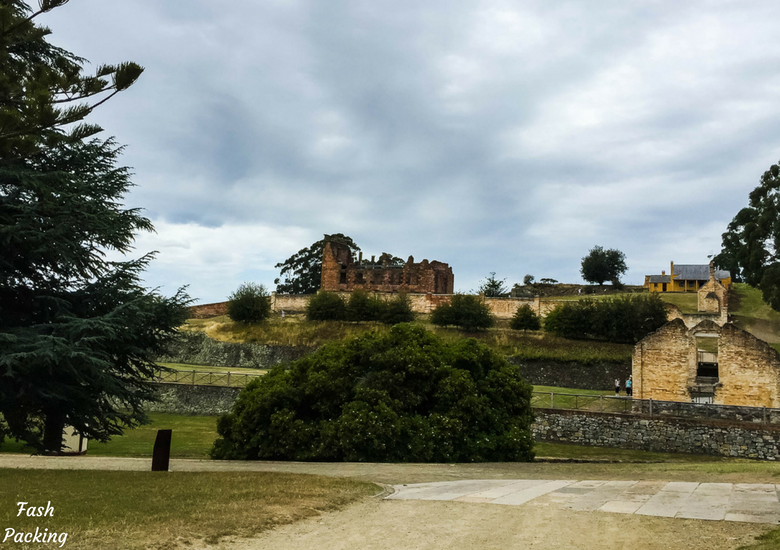 I’m so glad we included a visit to Port Arthur Historic site on our Tasmanian road trip. While the tales are harrowing, they are important and need to be heard. The staff are knowledgeable and do a fabulous job bringing individual stories to life for those that have lost the ability to do it themselves. I’m all about travelling on a budget and that starts with getting there as cheaply as possible. Our flights from Sydney were only $55 return! If you want a similar deal check out all my hints and tips for securing a bargain flight. You can stay close to the site but the short drive from Hobart means a day trip is just as easy. If you have the time, stop at a couple of the cellar doors in Richmond on the way back to the city and grab a bottle (or two!) to enjoy with dinner. Are you planning a trip to Tasmania? I would love to hear what’s on your itinerary in the comments below. Disclaimer: This post is not sponsored. We paid for our entry to Port Arthur Historic Site in full and as always, all opinions are my own. I went to Port Arthur about 15years ago and you post made my memories all flood back. I remember that Massacre very well and I was not aware that has been 20years since it happened. This is a great post and the type of stuff I like to read about because it is real and not covered over with ‘pretty nice things’ (if that makes sense). Your post also reminds how inhuman people can be. I completely forgot about Point Puer Boys Prison and cruise between you and me. Thank you so much! It was pretty confronting to experience and to write but not something I think we should shy away from. I lived in Oz for 2 years and sadly never made it to a lot of places, including this. Such a dark history and so sad to think that even young children were subjected to such unforgiving cruelty and brutality back then. However, this article paints a great picture of the history and the appeal that makes me regret not making the trip when I lived there! What a shame you missed Tassie but it did take me a long time to get there as well. You’ll just have to mine back and do the rest! Your post is so beautifully written, it gave me goosebumps. Reading stories like this one always break my heart, I simply cannot comprehend how people, entire societies, can be so disconnected from their humanity..
As a Canadian (where almost no one has firearms) I’m glad Australia learnt from that terrible shooting and enforced laws accordingly. I wish the US would do the same.. Thank you so much Aruban. It sure make me glad that I wasn’t around back then. I’m very glad Oz is not a gun toting society. One massacre made us change and I’m not sure the US ever will but I live in hope. Tasmania is full of such interesting history. For an island that is so naturally beautiful it has so many horrific issues. I remember the day that the massacre happened. It changed the course on gun laws in Australia. On a more positive note those buildings do look amazing. I love how well preserved they are. Hopefully we’ll make it down this way! Tassie really is stunning isn’t it Jean! I hope you make it to Port Arthur while you are there. It really is worth a visit! The dark side of history is so haunting. Your description about punishment in Port Arthur gave me goosebumps. Though it appears to a be a great place for history buffs but i do get upset by the dark history so I am not sure I’ll have it in me to see it. It is definitely confronting Archana but as an Australian, I think we need to face our history. I would certainly recommend a visit if you ever find yourself in Port Arthur. Really interesting read and we will definitely head to Port Arthur. 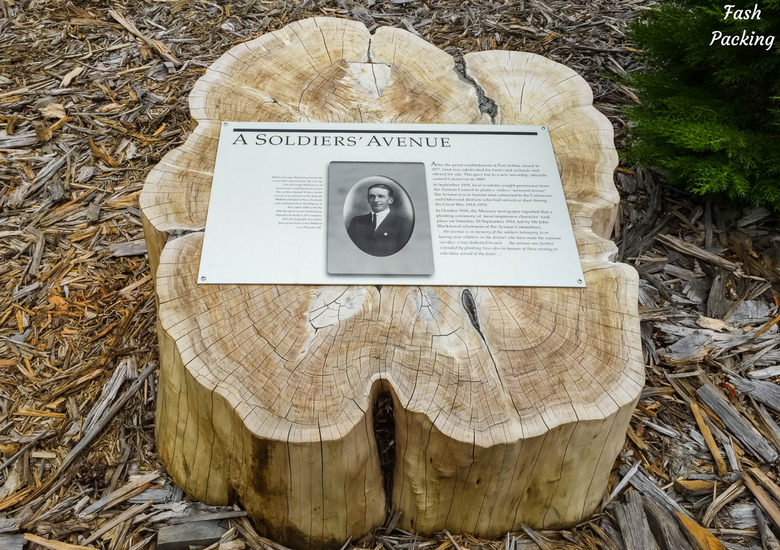 I love learning about the past and it looks like they do a lot at the site to bring the experiences and lives of people who lived a long time ago in such awful circumstances. Also good to know that flights can be booked cheaply to Tasmania too! I hope you do make it Tracy. Jetstar regularly have some great specials to Tasmania ? I visited Port Arthur about 5 years ago and it truly was a fascinating place. It has a dark history for sure, but one that I think it’s important to continue to remember. I thought the staff were really great too! That’s awesome Sonja. The staff were fantastic. I love how they concentrated on stories of real people. Point Puer was heartbreaking. You wonder what people could possibly have been thinking back then. I love culture travel and I think sites like these are the best places to visit to get into the history of a place. Your narration of what the site served during the time it was still in operation was grim. However, like you said, it is open to know that such things happened so we can do better. It is a dark age in history but one that must be re-told! It was grim indeed but important to know. While confronting its better to be aware I think. I would’ve never thought to visit a prison or a site like this. However, after reading this, I definitely agree that it’s so important to understand tragic events in history, especially those that occur in our own countries. Thanks for sharing, I would’ve never known about these bits of Australian/Tasmanian history. Humans were so brutal back then it’s hard to comprehend but important to remember and do better. I second what Suzanne said! We’re way too focused on the fun side of travel that the hard-hitting stuff often gets left behind, so thank you for sharing this side of Australia and its history. I actually don’t know that much about it as the education system over here in the UK doesn’t really focus on the history of anywhere beyond Germany (even though we were very much involved in some cases), so reading this was eye-opening to say the least! I had no idea boys as young as 9 were sent all the way to Australia for committing crimes! And I suppose the crimes weren’t actually that terrible in some cases. Some of the decisions made by my ancestors make me so ashamed, it’s awful! So happy I could give you a glimpse of Australia’s history. While we certainly learn about it in school seeing it as an adult is a very different thing. I think it’s sad that the UK education system chooses to largely ignore this given their direct involvement in it. I think it’s a history that needs to be told however shameful. 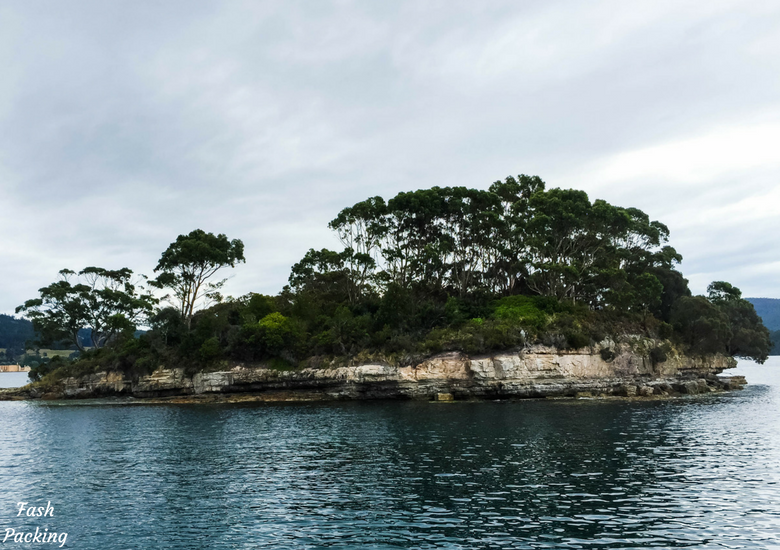 Bruney Island should be on your itinery! Sadly I missed it this time around but I have heard wonderful things about Briny. And I did my some fab Bruny Island Cheese from Salamanca ? Dear Allison, thank you for sharing a very important post. Too often, we focus on the glitzy side of travel and only share pretty Instagrammable moments. 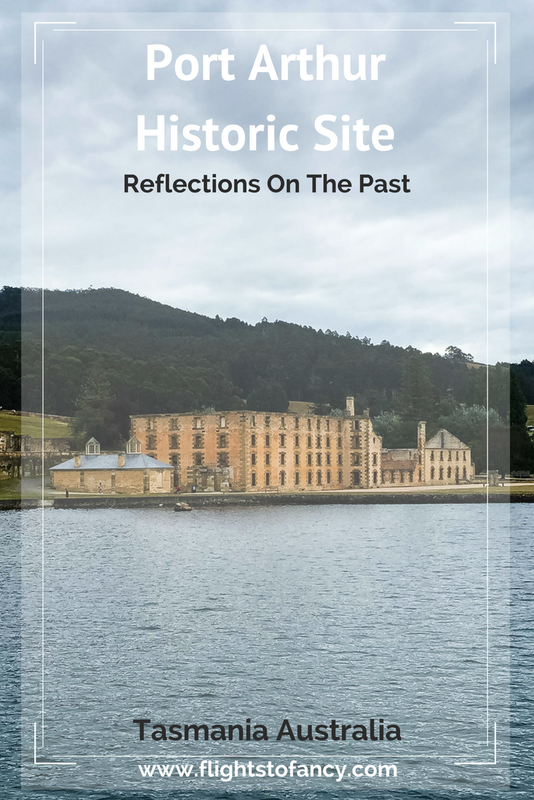 The story of this place in Tasmania needs to be heard by more travelers so we can better understand the history of a country. It was quite confronting Suzanne but I’m so glad we went. Just because something is uncomfortable to hear doesn’t mean it shouldn’t be heard. I can’t get over that boys as young as 9 got sent to the Point Puer boys prison. Kids at that age are too young to even understand consequences completely. That would have been a nightmare for those boys. The events of the Massacre are so awful to hear. Port Arthur has some terrible events associated with their history, but ones important to learn. Thanks for sharing. I know! Just babies ? It must have been truly horrifying! And so far away from home. I guess car hire is the best bet in Tasmania! It must have been very brutal what happened back in 1788 and the years that followed. DId you close the cell door and get a true feeling of how it used to be for a few minutes? The mental torture sounds terrible, as if physical torture was not severe enough. Even with all this terrible history the penitentiary photographs very beautifully. I did close the cell door very briefly but was very glad I didn’t have t spend long in their that’s for sure! Thank you for the information. I think it’s important to understand the history even the dark side of it. I visit some prisons before, and sometimes it makes me despressed to think about how people were treated there in the past. I agree Ha. People can be incredible cruel to each other. Even now! History has some dark parts for sure and that is part of why travel is so important for everyone and especially children. In a case of this history I would really want to understand myself before taking the kids so I could explain and prepare them. I appreciate the information!! Totally agree! My kids are all grown up now. It’s important for them to learn the history in a sensitive way.